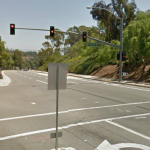 LAGUNA NIGUEL (July 4, 2013) – LuzAnna Malec was killed and her husband critically injured after a car jumped the curb and struck them while they were walking on the sidewalk in Laguna Niguel. The accident happened shortly after 9:00 a.m. on Golden Lantern north of Beacon Hill Way. 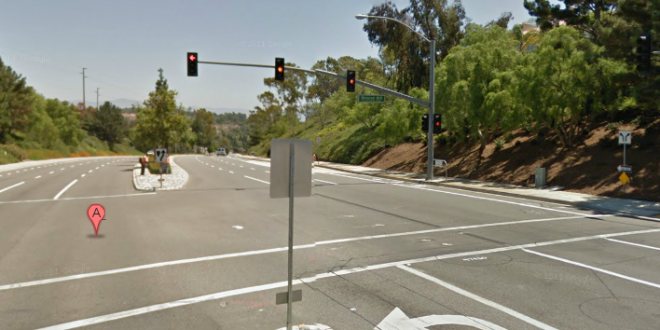 The couple were walking along Golden Lantern when a car jumped onto the curb and struck them. LuzAnna Malec died at the scene. Her husband of over 30 years, Tom Malec, was rushed to Mission Regional Hospital with critical injuries. The driver of the vehicle which struck them has been identified as a 43 year old man. Police suspect he was under the influence and detained him for further evaluation. 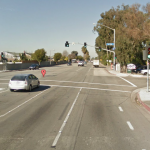 If found to be under the influence, he will be held responsible for the death of LuzAnna Malec via criminal charges in Santa Ana and will be charged with manslaughter. If he has a prior DUI, he will be charged with murder. Her family also has a civil wrongful death claim against the driver. LuzAnna Malec was a wealth management investment banker at Wells Fargo. As a certified financial planner and wealth manager, she was a speaker at area events and also authored the book Near Ready Unsteady, Reviving that Dream of a Meaningful and Sound Retirement. She led a healthy lifestyle that included playing tennis, jogging, hiking, cycling and yoga. She was 58 years old and leaves behind three children and a grandchild. Our condolences go out to her family and friends in her untimely and tragic death. I ask why? She was always smiling, a beautiful warm smile. I remember riding with my dad with her and her brother on his model A in the desert. It was a rough dusty trail. She never complained about anything… Can't believe this….Glad we had a chance to see her at last year's family reunion. That is very very sad…. Rest in Peace my dear cousin. Our prayers are with Raul, Tom and your family. Such a horrible senseless tragedy. I am absolutely gutted by this…I love LuzAnna , she wasn't just my client but my dear friend. LuzAnna is one of the most determined, honest, and caring person I have had the pleasure to know. Her smile is contagious. I was her personal trainer and friend and she was such a hard worker! She spoke of her family often with nothing but love in her eyes. I will miss you my friend. Love, Stacey ( Coach). How sad, my heart and prayers go out to her family. Aww. Gone too soon! So sorry for your loss, dear friend! She had the light in her eyes of an angel . I was just informed of the terrible tragedy involving the Malec Family. LuzAnna was a beautiful person, and touched so many lives'. Our thoughts and prayers are with the Malec Family. Oh no! I am in shock.. I can't believe this ! I've known them for over 25 yrs.. Dear God; Our prayers with them and their family. I am so sad..
No No NO! It can't be! I am in tears…..
Hank you Randy for your kind words. She will always be in our hearts.